Rahul has overall taken 13 catches in the five Tests he has played in England and most of them have come when he was fielding at the slip cordon. 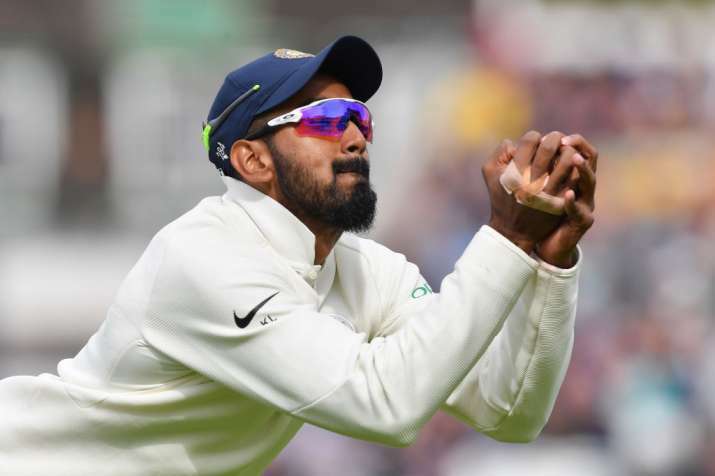 Team India's Lokesh Rahul has set a new record on English soil as he becomes the first player to take most catches in a Test series in England. The 26-year old achieved the feat when he took a breathtaking catch to dismiss Stuart Broad on Day 2 of the fifth and final Test at the Oval, London. Twitter loses its calm after India's series loss to England, slam Kohli and Co.
Other than Rahul, it was India's 'Wall' Rahul Dravid who has the same number of catches in a Test series in Australia. The former cricketer and now India A and U-19 coach played an instrumental role in the slip cordon during his career. It is former Australia legend JM Gregory who has the most catches in a Test series, a total of 15. The feat was achieved in the 1920/21 Ashes series. With another innings left in the fifth and final Test, Rahul can leave England as the only player to take the most catches in a Test series. Earlier, Alastair Cook and Moeen Ali notched up their respective fifties to lead England after a sudden collapse saw the hosts in trouble. However, Buttler's 10th Test half-century rescued England as Indian bowlers struggled to wrap up the home team's tail at the Oval.